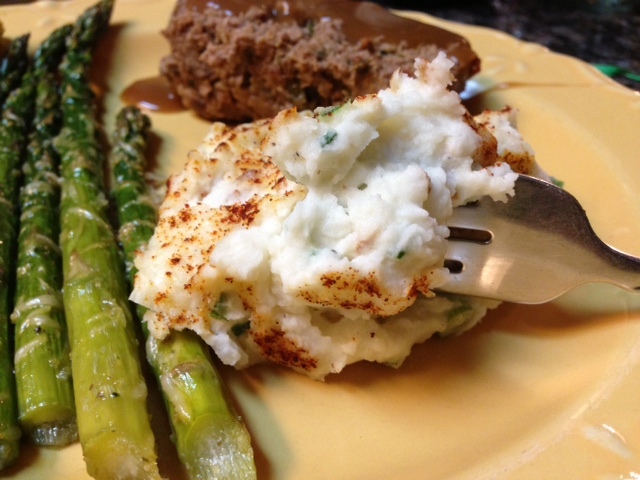 The other night I was looking for a good side dish to serve with some homemade meatloaf. I had this recipe from one of those little cards you get in the mail occasionally. The premise sounds good, but just a bit boring. So I decided to add a few more ingredients and Perfection!. 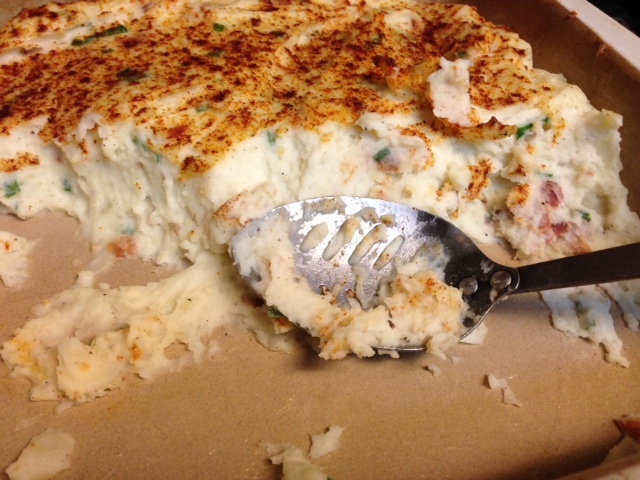 This BAKED BACON MASHED POTATOES dish is delicious! It’s funny, when eating mash potatoes, the main thing I like to do is smother them with gravy. Let’s just say, no need for gravy with this dish! 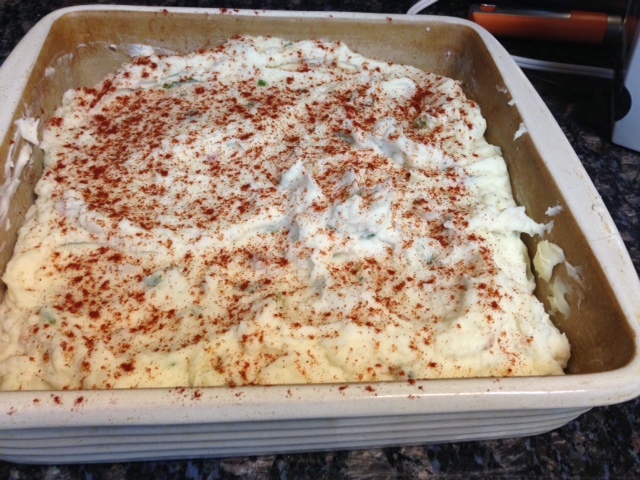 This perfect side dish for any protein you might be making for dinner. Creamy and flavorful. A potatoes lover’s dream. b. 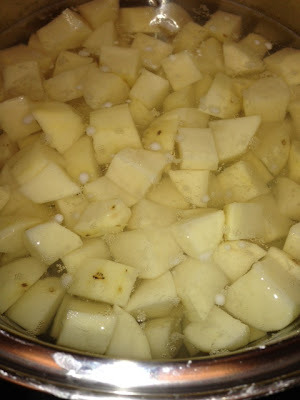 Put cubed potatoes in a large pot. Add enough water to cover. Add 1 teaspoon of salt. Bring to a boil for about 15 minutes. Potatoes will be tender when using a fork to test. c. Crisp up bacon. Cool and chop. 1. Once potatoes are done, drain (but keep about 1/4 cup of the potatoes water). 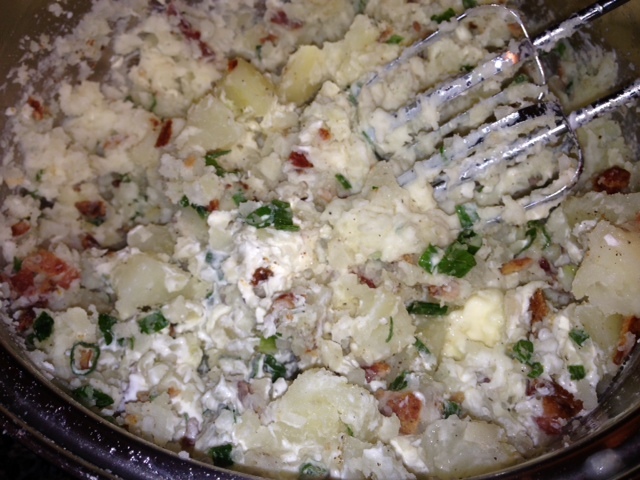 Add cooked potatoes into a large bowl. 2. 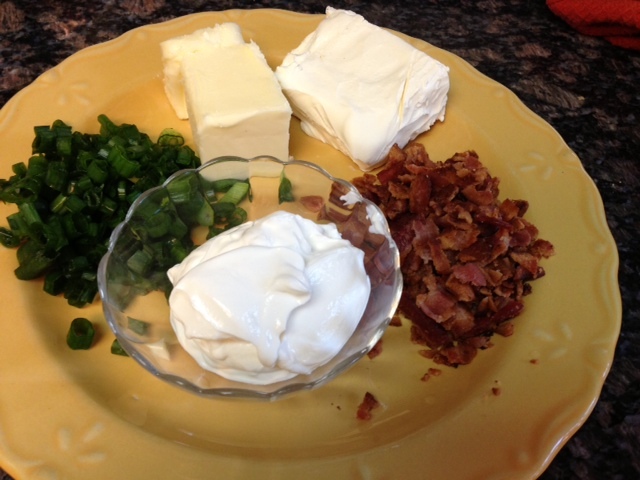 In the large bowl, add the reserved water, cream cheese, butter, sour cream, green onions and bacon, salt and pepper. 3. With a hand mixer, beat everything together, do not over beat. 4. Spoon the potatoes into the prepared casserole dish. 5. Sprinkle paprika on top. I always say, "When life gives you lemons, make Lemon Madeleines with Lemon Glaze!" Ok, I don't always say that and actually life didn't give me these lemons, I bought them from Trader Joe's. 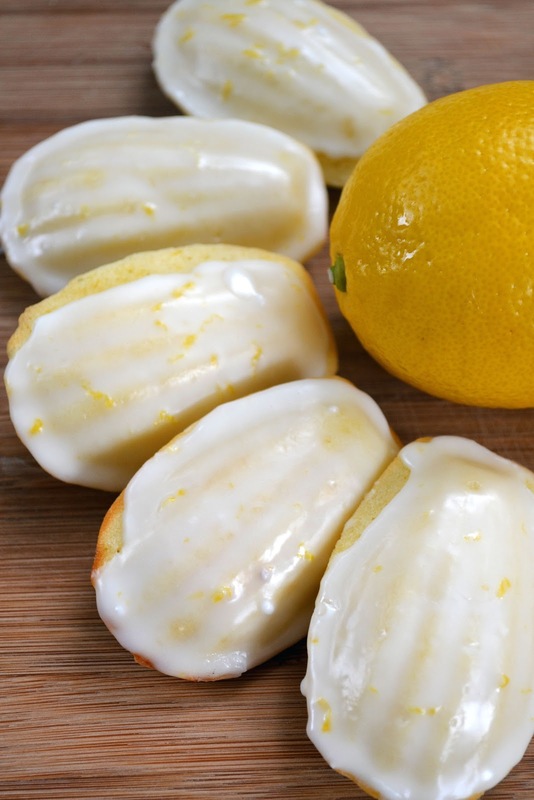 I love baking with lemons, but I cringe when I have to buy them from the store especially when I know a few people who have an abundance of them growing in their back yards. Nothing beats home grown produce! But I recently needed a few lemons for the Lemon Curd Tart I made for Easter, rather than buying a few lemons, it was more economical to buy a whole bag. So when I was left with a bowl full of lemons that I needed to use up....Lemon Madeleines came to mind. Madeleines are one of those rare treats that you enjoy on occasion when you want a special treat. If you've never had one, they're like delicate little cakes usually in the shape of a shell. They're not difficult to make and don't require fancy ingredients, but they do require a special baking pan. While I'm not big on kitchen gadgets, I do love specialty baking pans and a Madeleine pan is definitely one every baker should invest in. I hope you'll try this recipe for Lemon Madeleines especially if you're a lemon lover. They're moist, delicious and bursting with lemon flavor! Sift together the flour, baking powder and salt into a medium size bowl. Set aside. Melt 3/4 cup unsalted butter. Set aside. In the bowl of your stand mixer using the paddle attachment (or in a large bowl using your electric hand mixer), combine the sugar, egg, egg yolks and vanilla and beat on medium high speed until thickened and light in color (approx 4-5 minutes). Add the 3/4 cup melted butter and mix to combine. Add the flour mixture and fold in using a rubber spatula. Refridgerate the batter for about 4 hours. 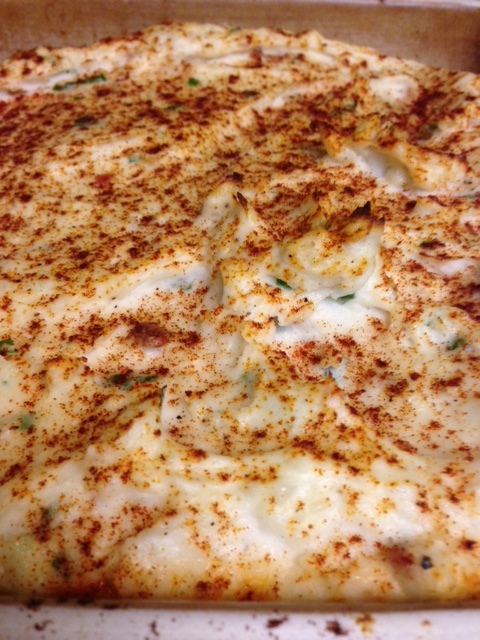 After 4 hours - preheat the oven to 350 degrees f.
Melt 2 tablespoons butter in a small bowl. Brush the cavities of your Madeleine pan with melted butter. Remove batter from the fridge and fold a few times with the rubber spatula to recombine. Fill each cavity of the Madeleine pan about 3/4 full. Bake until done and edges are light golden brown (approx 7 minutes depending upon your oven). Place pan on a cooling rack for about 1 minute. Then remove the Madeleines to the cooling rack to cool. Place all glaze ingredients in a medium size bowl and whisk to combine and remove any lumps. Adjust glaze to desired consistency. I like mine a little thick so it coats the top of the cookies. Dip the shell side of each cookie in the glaze to coat evenly. Place glaze side up on wax or parchment paper to allow the glaze to set. Madeleines are best the day they are baked, but can be stored at room temp for one day.